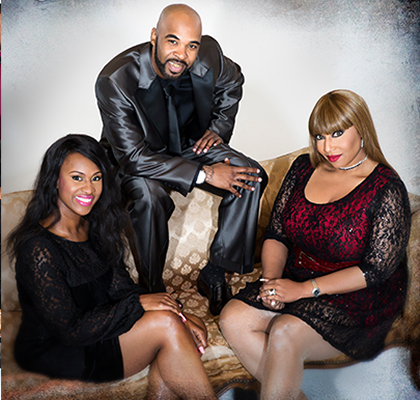 Powerhouse of Modern Hits and Classic Soul! 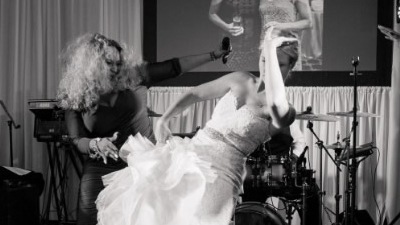 Mo’ Sol’s energetic brand of Motown, funk, soul & hip-hop has become a mainstay at weddings, private parties and corporate events throughout the Southeast. 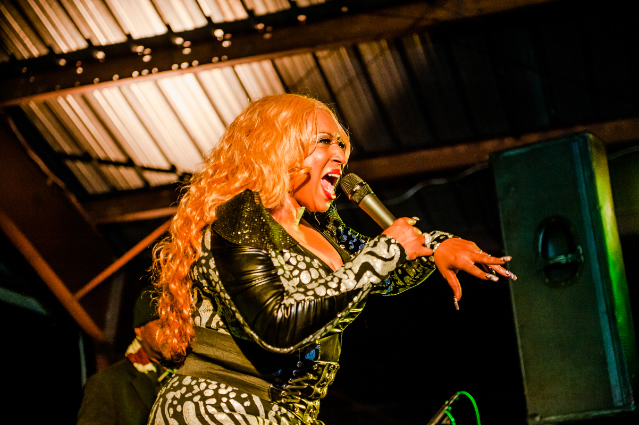 The band is led by Ms. Monique, a veteran Atlanta vocalist who possesses a voice reminiscent of Aretha Franklin and moves that match Beyonce. Backed by a rock solid rhythm section and surrounded by some of Atlanta’s finest vocalists, Mo’ Sol keeps the dance floor packed from beginning to end. Mo’ Sol brings more than just soul to the table . . .
Mo’ Sol is Mo’-nificient! Ms. Monique and her crew took care of us every step of the way. When Ms. Mo tells you she has your back, she means it. 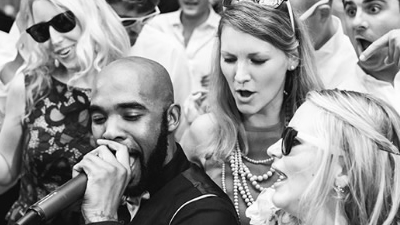 Their repertoire was incredible and there was truly something for everyone at our wedding. We had guests literally begging for more! 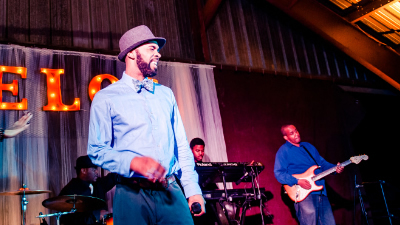 Mo’ Sol’s energetic brand of Motown, funk, soul & hip-hop has become a mainstay at weddings, private parties and corporate events throughout the Southeast. 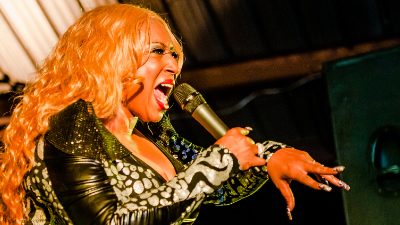 The band is led by Ms. Monique, a veteran Atlanta vocalist who possesses a voice reminiscent of Aretha Franklin and moves that match Beyonce. Backed by a rock solid rhythm section and surrounded by some of Atlanta’s finest vocalists, Mo’ Sol keeps the dance floor packed from beginning to end. Mo’ Sol brings more than just soul to the table. 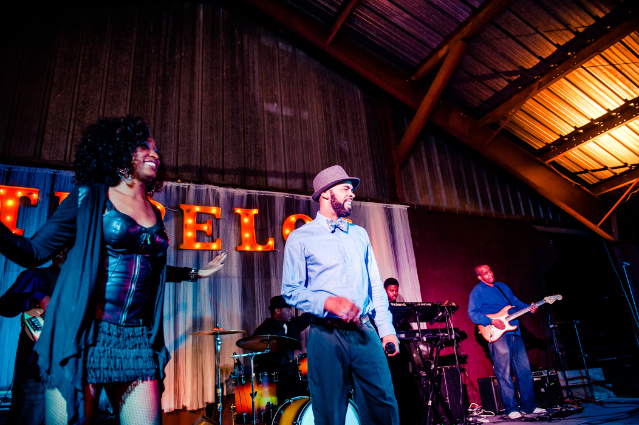 Whether you’d rather dance to Gladys Knight or Outkast, Mo’ Sol’s diverse repertoire has something for everyone. 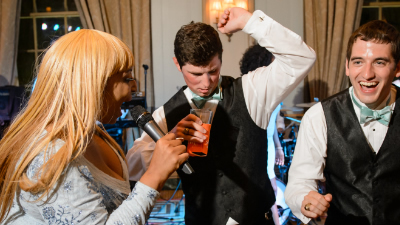 Updated frequently, the band’s songlist covers everything from the old school soul of Wilson Pickett, Ray Charles and The Supremes to modern hits from Mary J. Blige, Justin Timberlake and Alicia Keys – with some 80's and classic rock added for good measure. 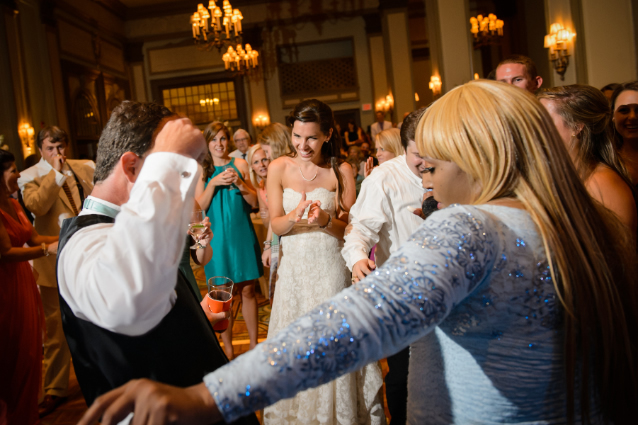 Everyone from corporate event planners to brides and grooms to college party-goers have given rave reviews of Mo’ Sol. 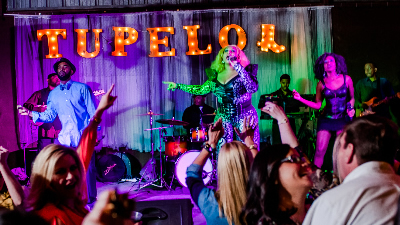 What brings these clients back for more – besides the sheer musical talent onstage - are the band’s riveting stage show, interaction with the audience, professionalism, and devotion to making each and every event a great time for all. Mo’ Sol is the definition of what a party band should be. Bring them to yours. ---------- Forwarded message ---------- From: Diane Bechamps Date: Tue, Jan 16, 2018 at 9:06 AM Subject: Re: Mo' Sol To: Andrew Juge They rocked the HOUSE!!!!! What an amazing experience it has been to work with you and all the professionals at Sam Hill. Thank you Andrew. You are the best. 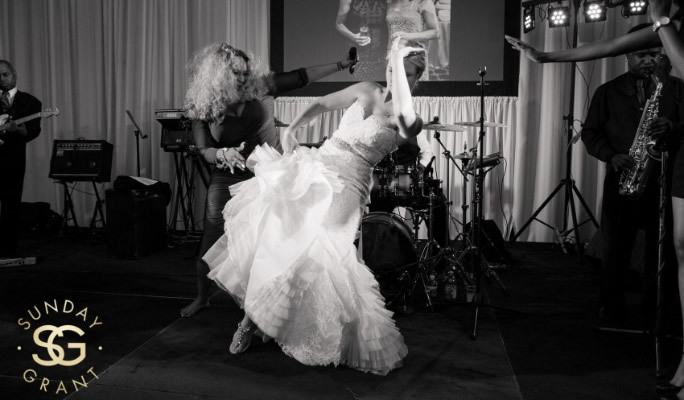 5-star review on TheKnot.com posted 05/30/2017 "We had an absolutely wonderful experience with Sam Hill and Mo' Sol. 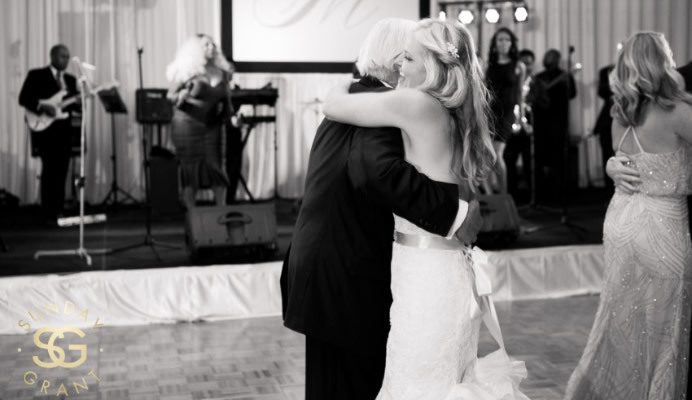 Booking with Sam Hill was easy, and we consistently felt like we had all of the information that we needed. There was always someone available to answer questions or provide suggestions. 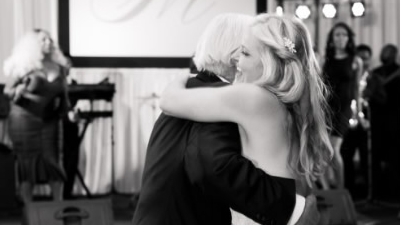 We highly recommend working with Sam Hill." 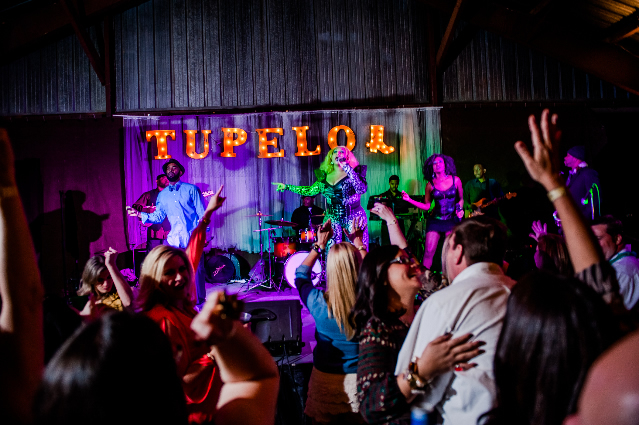 From: Betty Parish Date: Wed, Nov 16, 2016 at 12:56 PM Subject: RE: MO' SOL follow up - 11/5/16 Harrison-D'Addario Wedding To: Andy Jaspen Hi Andy, Mo Sol was great in every way---and they did make the party so much fun!! They were very easy to work with and very considerate. I will look forward to recommending them again!! Fondly, Betty Parrish Wedding Planners, Inc.
From: Julia Greenberg Date: Mon, Apr 25, 2016 at 9:16 AM Subject: Re: Mo' Sol To: Beth Treschitta Wow- Mo Sol below us away! 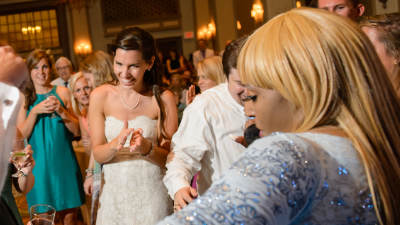 We had the time of our lives dancing all night long with them. My fiancé and I are huge dancers and so are all of the guests at out wedding. 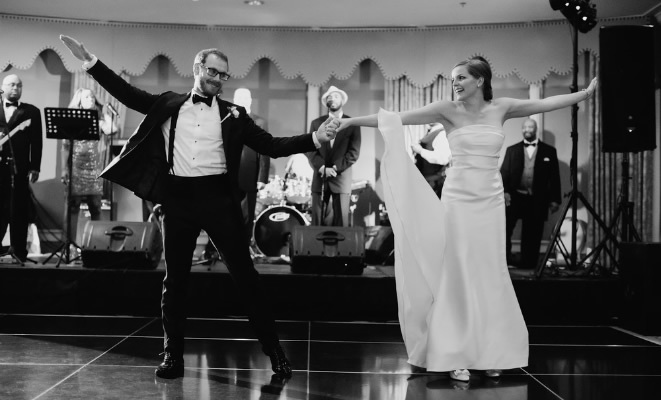 They kept everyone on the dance floor the entire time and played the best songs. We wrapped up the night with Purple Rain which made for a moment we will never forget. They entertained everyone, were dripping in sweat, and let us dance with them on the stage- it felt like a concert. Two of our wedding guests are also using them for their wedding and they were ecstatic to see how amazing they were first hand. Five stars for Ms. Mo and the whole Mo Sol crew!!!! We can't thank them enough and highly recommend them! ---------- Forwarded message ---------- From: Grace Murrell Robinson Date: Mon, Feb 22, 2016 at 4:39 PM Subject: Re: Mo' Sol To: "Andrew @ Sam Hill Entertainment" Andrew, Everything went great! 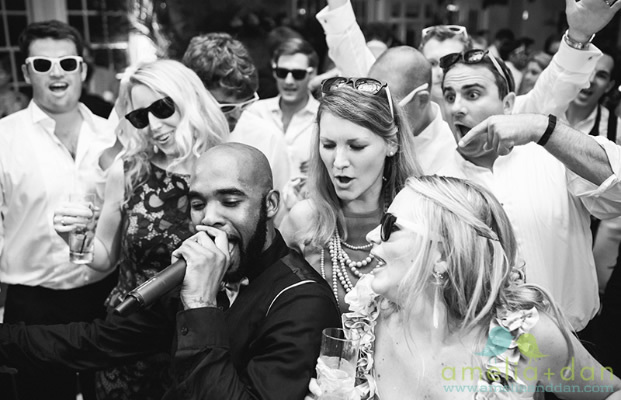 Everyone RAVED about the band and how much fun they had! Music and performance was perfect. FABULOUS! Please thank them all!!!!!! They were a hit! From: Suzanne Pickens Date: Tue, Aug 26, 2014 at 2:52 PM Subject: Mo' Sol Feedback To: "Beth @ Sam Hill Entertainment"
Hey beth It was so much fun and I absolutely love the band. They were so nice and I keep hearing comments on how much fun it was and how they played great music! I probably left around 1230 and the room was still packed at that time!!! I thought they were absolutely fantastic. This year we gave our Christmas Party a complete make-over. Mo'Sol's live entertainment added the icing on the cake for our event. The employees were thoroughly entertained the entire evening. If you are looking for a variety of musical genre's, Mo'Sol is the band for you. Ms. Monique, WOW!, you are truly a professional and wonderful talent. From: Catherine Alley Sent: Tuesday, January 26, 2010 11:33 AM To: Hank Wells @ Sam Hill Entertainment Cc: Big John Alley Subject: Re: Mo' Sol They were awesome! 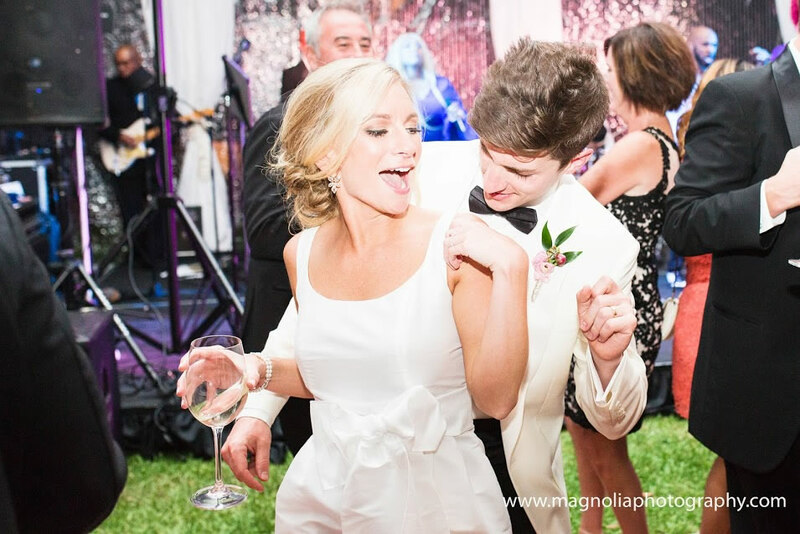 It was pouring down rain that night and the dance floor and tent where the band was turned into a huge mud pit but all of the guests (400) still got out on the dance floor because the band was so much fun. A lot of shoes and clothes got really muddy and nobody cared. They saved the day! -----Original Message----- From: Jennifer Kornblut Sent: Monday, November 02, 2009 8:02 PM To: Mike @ Sam Hill Entertainment Subject: Re: Mo' Sol Mike, First, let me say Mo' Sol was AMAZING! Thank you so very much for recommending them! 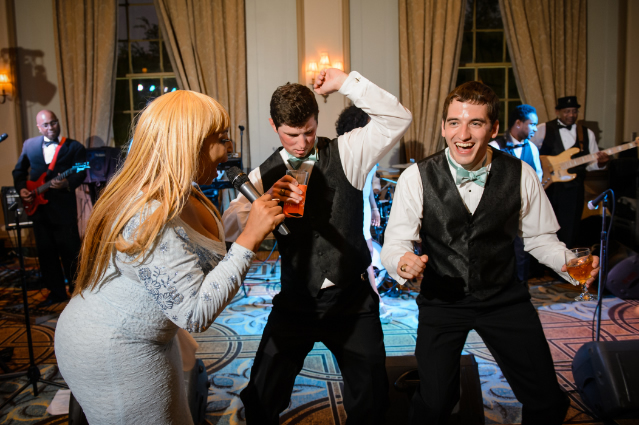 They really got the party started and everyone was on the dance floor. I knew that I took a chance booking a band that no one in SC had ever heard of, but I am so happy that I did. The party couldn't have been better and we are so gracious for their fantastic performance. If they need a recommendation or if there is anything else I can do just let me know. Thanks so much! Jennifer Kalinsky, Pharm.D.